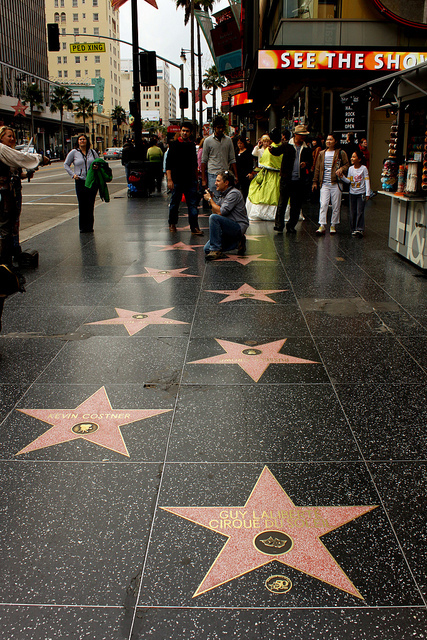 Hollywood has long been touted as the promise land, full of bright lights and celebrities who are living the good life. It is the center of the movie industry. Glamor and beauty is everywhere, and it is the land you should go to if you want to chase your dreams. It is a place you expect to be untouched by pain and discomfort. Despite the glitz and glitter however, Hollywood is not immune to the world’s problems. National Institutes of Health’s Surveillance, Epidemiology, and End Results Program (SEER) provided new facts about cancer in the United States. According to the SEER Stat Fact Sheets, 1,685,210 new cancer cases are expected to be diagnosed within the year. Alongside this, the same source that there are 595,690 estimated cancer deaths for the year. This is where cancer shows that it does not discriminate, as even the rich and famous have had brushes with the diseases. In fact, famous actor Ben Stiller recently revealed that he was diagnosed with prostate cancer on June 2014. After three months of treatment, he was declared cancer-free. And he is not the only actor to be afflicted with cancer—there are many other stories where you can glean inspiration from. Without further ado, here are some of Tinseltown’s inspiring cancer survivors. Christina Applegate – Applegate knew that she might have the breast cancer gene as her mother is a breast cancer survivor. After a routine mammogram in 2008, her doctors advised her to get an MRI, through which it was determined that she had breast cancer. Although the tumor was only found in one breast, Applegate opted to have a double mastectomy to minimize the risk of relapsing. Following her recovery, she founded Right Action for Women, a foundation that offers free MRI screenings to women who are at high risk of breast cancer. She is an advocate of early detection and regular mammograms, as her regular checkups paved the way for her to find out about the disease.Today, Applegate continues to encourage people to pay closer attention to their health, as a single checkup can make the difference between an advanced or a treatable cancer. Mark Ruffalo – Also known as Dr. Bruce Banner or the Hulk, Ruffalo’s brush with cancer can be described as prophetic. In 2001, he had a vivid dream about having a brain tumor. He was so bothered by this dream, he actually sought professional help. Lo and behold, it turns out that he had an acoustic neuroma, a kind of brain tumor. He persisted in the treatment and had surgery, although it briefly resulted to partial facial paralysis and a more permanent deafness in his ear. Thankfully, the tumor was benign. Being diagnosed with a tumor was an eye-opener for Ruffalo, who felt that he was struggling against life for a long time. He once said that his brief brush with death made him realize how much he loved acting, and how he might be taking it for granted. To this day, Ruffalo continues to provide his fans with a renewed zest for acting. Hugh Jackman – Hugh Jackman’s cancer scare is mild, but recurring. In 2013, a makeup artist noticed blood on his nose and his wife urged him to have it checked out. So he did – and it turned out to be basal cell carcinoma (BCC), among the more common kinds of skin cancer.Over the next two years, Jackman continued to have four surgeries (and likely to have more) to remove cancerous cells from his skin. The actor carries on with humor, and he urges his fans to use sunscreen to avoid getting screen cancer. He also adds that BCC is preventable – so all he has to do is go through routine checkups. He gets his skin checked at least four times a year. Sheryl Crow – Singer-songwriter and actress Sheryl Crow found out she had breast cancer in 2006. Perhaps what made it worse was that she had no symptoms, and her cancer was just determined via her yearly mammogram.She then used her celebrity status and as a breast cancer survivor to raise awareness about early detection. Along with fellow celebrities, she encourages women not to skip their annual mammograms, as this can make the difference between early detection or finding the cancer in its later stages.Then in 2011, Crow found out that she has meningioma, a kind of brain tumor. However, since it is not causing her any problems, she wasn’t given any treatment plans for it but was instead encouraged to conduct regular follow-ups checkups.Today, Crow is 10 years cancer-free – and she continues to talk about early detection, and how taking care of yourself can help you conquer cancer. Olivia Newton-John – This Grammy-award winner received her breast cancer diagnosis in 1992—on the same weekend when her father died. Her case is different in some instances, as a mammogram and needle biopsy told her that she didn’t have cancer.However, Newton-John knew her body, and she knew that something is not right. Her doctors performed a surgical biopsy, and they found the cancer that Newton-John felt through self-examination.She continues to use her celebrity status to bring more awareness about breast cancer, particularly when it comes to monthly breast self-exams. She has staged shows and released songs, with the proceeds going to cancer-centered charities. By all accounts, these celebrities aren’t the only ones to be diagnosed with cancer. There are other cancer survivors, perhaps even in your community. All of them battled one foe, and they all proved that cancer can be beaten. Many of these survivors use their status and experience to become advocates to help other people fight the disease. Many of them spread awareness, others rally other people to be tested earlier, while others offered support. Whatever the case, we hope that you gained inspiration from these people who looked at cancer in the eye, and bested it. Do you know other cancer survivors? Share their stories in the comments below and let us know how they inspired you. They may be able to inspire others to keep fighting, too.